"On the way this pair have played so far the Wizard of Wishaw should be much shorter and, while Trump turned it around from 8-7 down, his problems are deeper rooted than merely immediate form." One interesting quirk of this year's World Championship has been the relative lack of close games. Normally by this stage we've already seen several dramatic final-frame deciders. So far this year, there's been just two deciders, both in the first round. Is one overdue? Well, all four of the quarter-finals have strong potential to go the distance. With no O'Sullivan or Selby this year, everyone left is pretty close in standard and have perfectly realistic world title aspirations. This one is rated most likely to go to the wire and, rather than pick the winner, that looks the best way to play it. I tipped Mark Allen at [20.0] before the last round but, while the Masters champion remains a frontline contender and those odds look good already, he makes less appeal here at [1.75] to confirm the form of his Masters final win over Wilson. That match, plus the way he stepped up a gear in the final session, justify the odds but we write 'Warrior' Wilson off at our peril. I'm convinced he's the new Peter Ebdon. While perhaps not as naturally gifted as the very best, his match play and formidable temperament compensate. Three or four session matches at the Crucible should be his forte and I reckon Kyren will emulate former champion and three-time finalist Ebdon at some stage. Might Ding have peaked too soon? If form in the first two rounds is the guide then I'll confidently predict that Ding Junhui will win his first world title with something to spare, and we'll all look back on the current odds of [3.5] as a steal. He's producing a standard that very few players in the history of the game could live with and his two greatest rivals are both out. The problem with that analysis is that world championships rarely work out like that - time and again we've seen players peak too early. It is hard to sustain that level and by the second week, any dip in form will be punished. In Hawkins, Ding faces an opponent who leads him 5-4 over their careers, including both matches at the Crucible with plenty to spare. With four tons and 12 fifties in the last round, coming off a run to the China Open final, The Hawk has his own form credentials. [1.5] about the favourite is just too short, but I do expect Ding to win so let's try a correct score combo on 13-12 and 13-11, paying 9/2. Among those left, Mark Williams has probably been the best player throughout the season and he looks the best current outright value at [9.4]. Granted, he hasn't shown the same fluency as Ding or Higgins but this is a marathon, not a sprint. Despite labouring for the most part against Robert Milkins, he finished very strongly. I'm not worried about age because he plays relentlessly. There are no easy matches at this stage but it must be a relief to face Carter rather than Ronnie, who has ruined many a Williams world title bet. Mark leads 9-5 in their head-to-head, with most of his wins coming outside his peak seasons. Fair play to Ali in finally beating O'Sullivan and this Crucible specialist is scoring well, but he did benefit from a lot of unforced errors. It won't surprise any of my regular readers to see Higgins napped here. On the way this pair have played so far the Wizard of Wishaw should be much shorter and, while Trump turned it around from 8-7 down, his problems are deeper rooted than merely immediate form. He's repeatedly making elementary mistakes and, whilst always looking brilliant in the balls, looks a bit edgy. 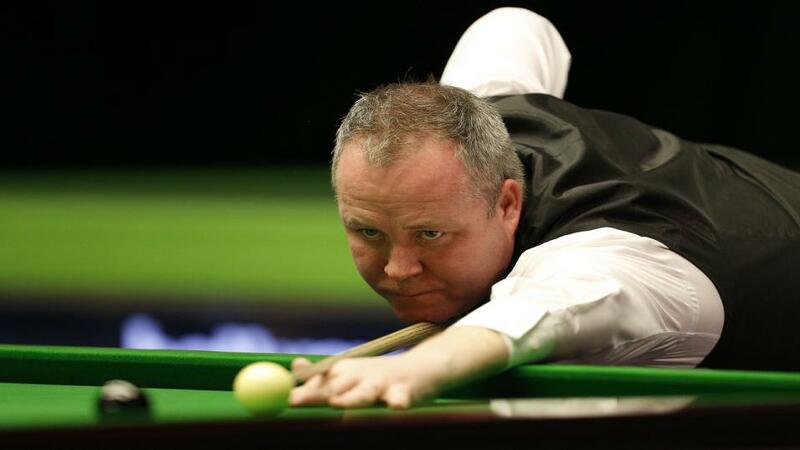 Higgins leads their head-to-head 11-7 - the most famous of which came in the 2011 final. Back then, Trump was a fearless potting genius with dubious shot selection - understandably rough around the edges. Seven years on he's gained some fear, still makes rookie errors and those smashed long pots don't drop quite so often. Higgins hasn't deteriorated and if getting half the chances Ricky Walden and Chris Wakelin did, he's a certainty.